David de Jong (1969) started with organ lessons in 1979, and studied organ between 1982 and 2003 with Johan G. Koers, who still is his mentor. Between 1985 and 1994 he was organist of the Reformed church ‘de Hoeksteen’ in his birthplace Drachten. In 1988 he won the second prize at the National Organ Competition in Elburg. 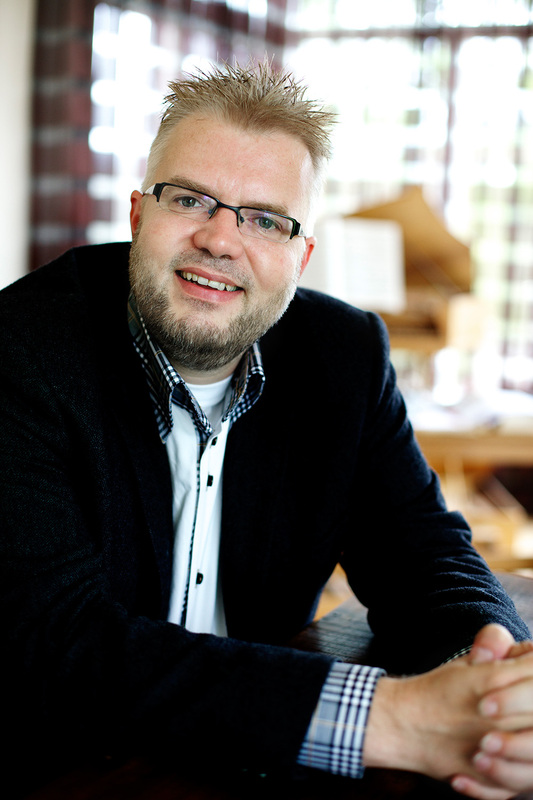 Since 1998 David de Jong has been a minister within the Reformed Churches (Liberated) in The Netherlands. He still gives organ recitals and performs as a choir accompanist. He has made thirteen recordings on CD, e.g. the Great Organ Mass by J.S. Bach at the organ of the Bovenkerk in Kampen, and, together with Dirk S. Donker, a CD with the complete organ works of Johan G. Koers, recorded on the Schnitger/Van Dam-organ in Sneek. He has composed songs, works for choir, organ, carillon and accordion. In 2007 he was a finalist in the Hinsz Composition Competition. His compositions have been described by Kees Weggelaar in an article in Het Orgel 110 (2014), nr. 3, p. 24-33. An abstract is available on www.hetorgel.nl.